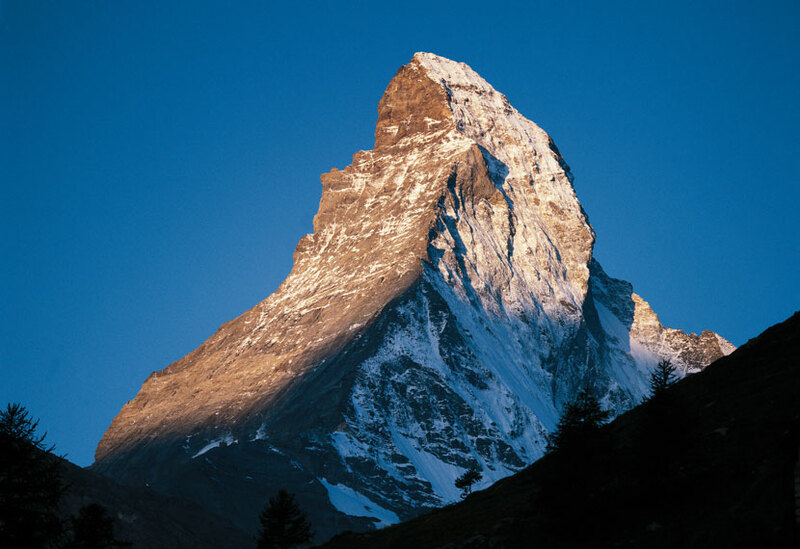 Zermatt lies at the base of what is perhaps the most iconic emblem of the Swiss Alps: the 14,690-foot Matterhorn. Few sights are more inspiring than the Matterhorn covered with a pristine layer of snow against a cerulean blue backdrop. 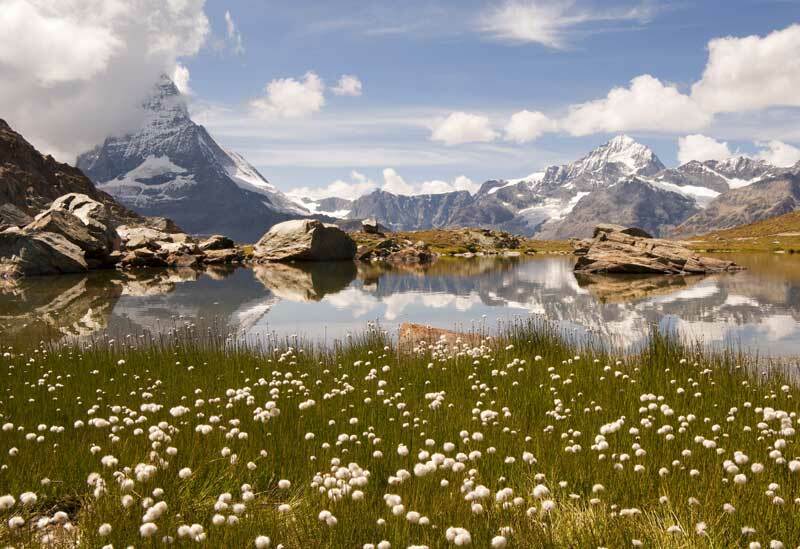 Perhaps what’s more awesome though is the rewarding feeling gained from walking Zermatt’s hiking trails in the crisp mountain air to the vantage point where this view is possible. The Matter valley is surrounded by 30 peaks, all of which top 4,000 meters (13,000 feet). 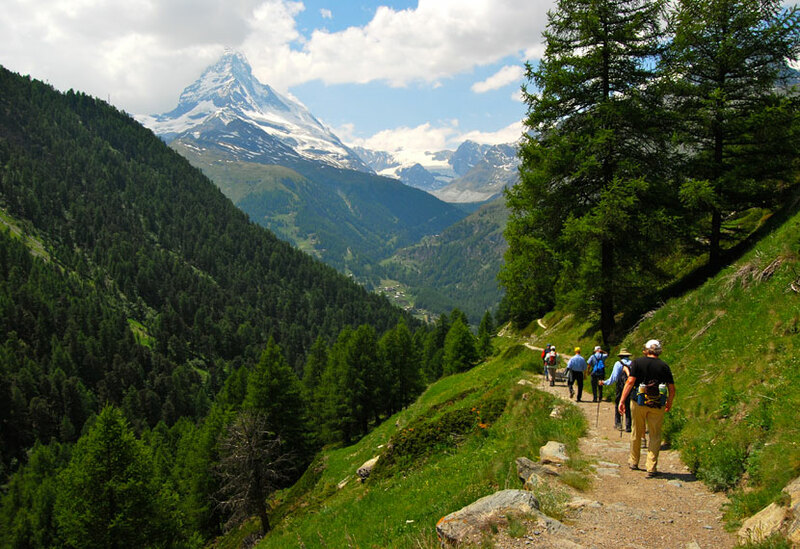 Between these pinnacles exists the labyrinth of Zermatt’s hiking trails and valleys that make this corner of Switzerland a hiker’s paradise. One such path, the mule trader’s trail, dates to the 13th century. 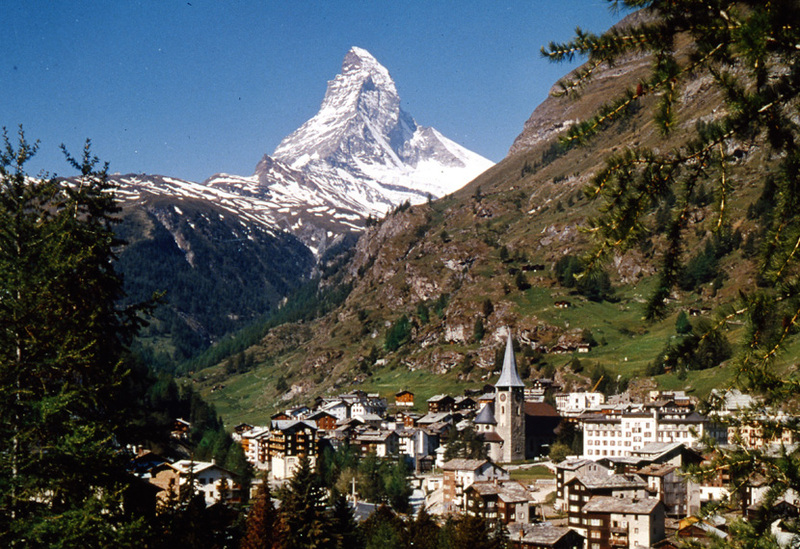 Zermatt is a popular destination for day trips to the Matterhorn. 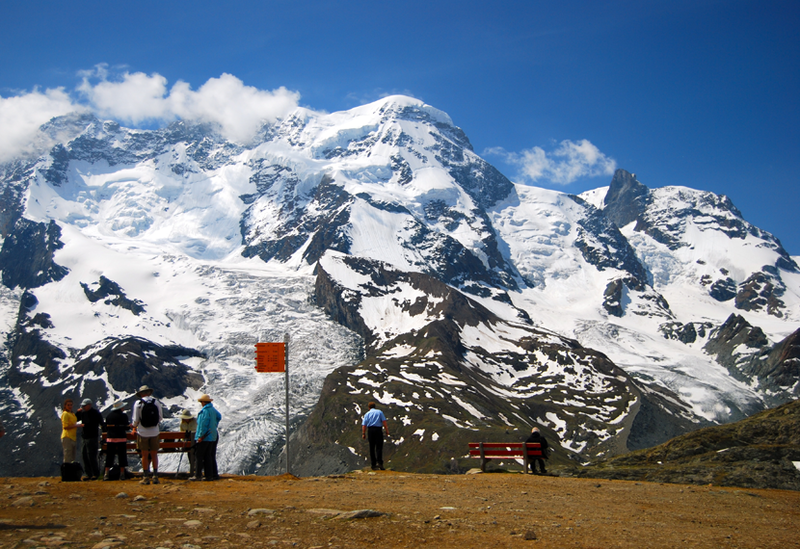 It’s also a platform for mountaineering and world-class skiing—even in the summertime. Numerous national ski teams train here, as the town holds Europe’s largest and highest summer skiing region. 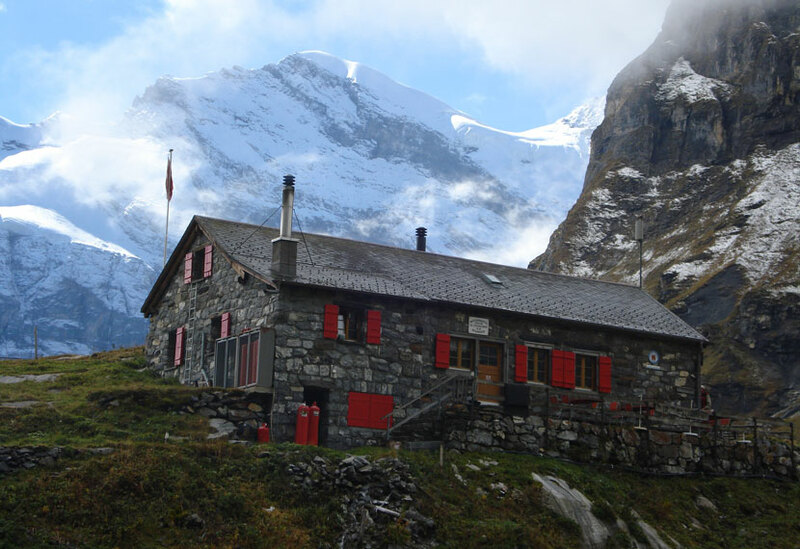 Two points of particular interest include the Gornergrat, a cog railway that travels 3,089 meters (10,134 feet) to an impressive overlook, and the Klein Matterhorn, the end point of Europe’s highest cable car at 3,820 meters (12,533 feet). 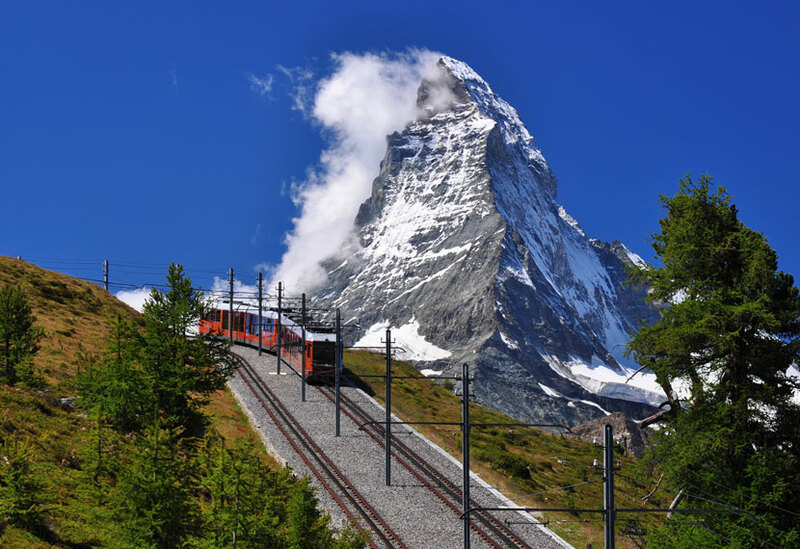 Most of our day trips to the Matterhorn conclude in Zermatt around 4:00 p.m., leaving plenty of time to explore the town before catching the gondola to the high mountain retreat. The view overlooking this picturesque alpine town aglow at night is simply magical. the natural wonders of this area. All trips have two or three guides with a maximum group size of 12. Three levels of hiking are offered each day.